It has been an interesting week for fishing. We are getting very good weather for river fishing. This does not mean clear sky’s and hot weather. Ideally we see a cycle of consistent yet mild rain events followed by a few days of cool overcast weather. This rises the river but does not blow them out and allows fish to move in. We are hoping that this will happen this weekend and it looks promising. We have reports on the Squamish, Stave, Vedder and Harrison in the river sections. As we wrote the report last night the Squamish was in good shape but we have heard some early reports this AM that the Squamish has blown out. That said it should come into shape soon and all the rivers should fish well over the next few days. On a fisheries front we also have some last minute changes to both the Fraser fisheries and Chum fisheries across the lower mainland. Make sure to read these before going out. Winter chinook fishing is also going in the ocean and though our boats have been hit by some mixed weather it is worth looking at. Lars has a full report in the saltwater section below. Lastly we have some cool videos this week. We have Zach’s Popsi Ho video that we promised last week. Sorry we were late with this one -To make it up to you guys we have a double upload this week! One for Fly fisherman targeting salmon and steelhead with Zach’s fly and Jordan has an great basic jig tying video for anyone thinking about getting into tying jigs for float fishing. They are super easy and very productive! Check them out in the links below! As always be sure to keep yourself up to date on regulations coming out! Here is the latest released yesterday for the Tidal Waters of the Fraser River and another this morning for the Allouette River, Chehalis River, Harrison River, Stave River and Nicomen Slough. FN1192-RECREATIONAL – Salmon – Area 29 – Tidal Waters of the Fraser River – Salmon Opportunities. Waters: Tidal waters of the Fraser River (downstream edge of the CPR Bridge at Mission to the mouth). – The daily limit for Coho salmon is two (2) hatchery marked only. 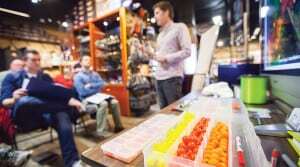 – You may not retain Chum, Sockeye or Pink salmon. 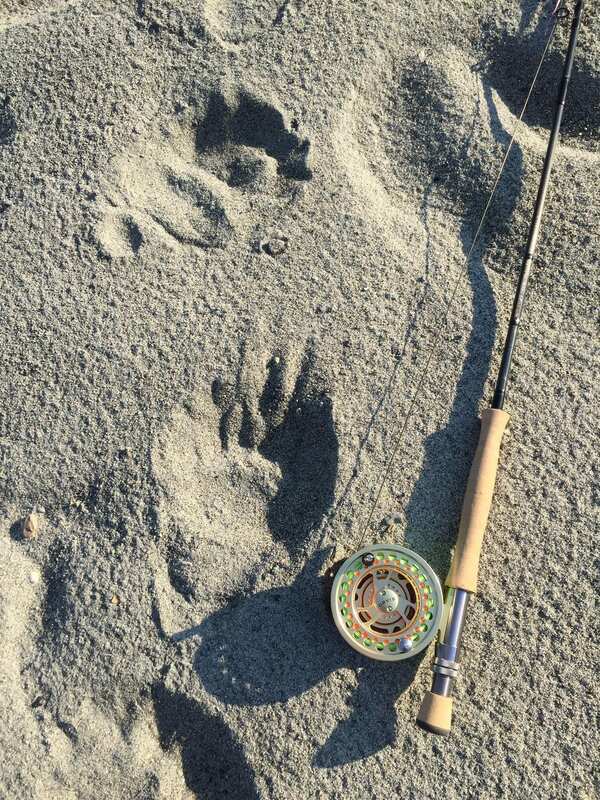 In the tidal Fraser River, fishing for salmon is only permitted from one hour before sunrise to one after sunset each day. The aggregate daily limit for all species of Pacific salmon from tidal and non-tidal waters combined is four (4). Individual species limits also apply. Further to FN1161 and FN1179 the coast-wide returns of Chum salmon have been very poor and the current in-season estimate for the return to the Fraser River is 769,000. According to the South Coast Salmon IFMP, at this run size commercial fisheries are suspended and recreational fisheries are restricted to tributary systems where surplus is likely to occur. 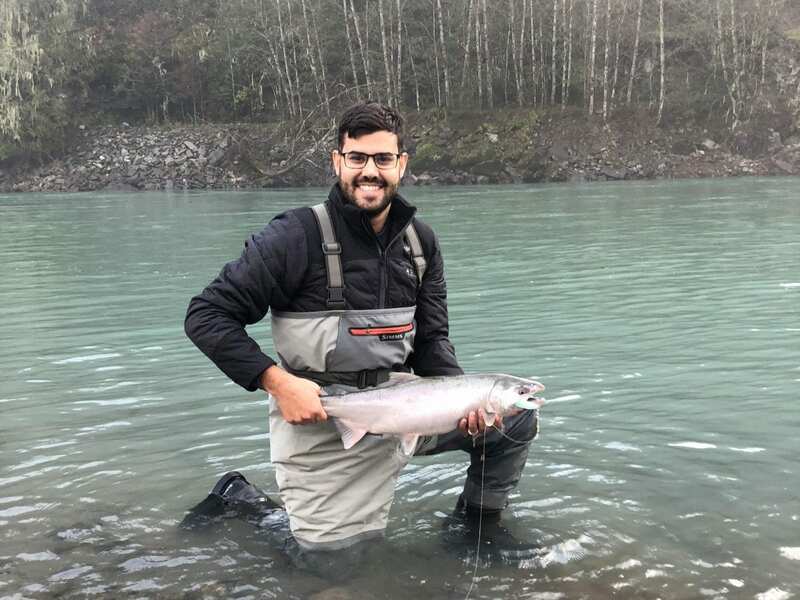 Therefore, the daily limit for Chum salmon is reduced to zero (0) effective one hour after sunset, Sunday, October 28 until December 31, 2018 on the Allouette River, Harrison River, Stave River and Nicomen Slough. In addition, the Chehalis River will not open on November 1 to the retention of Chum. For the 24 hour recorded opening and closure line, call toll free at 1-(866)431-FISH(3474). Fishing continues to be red hot and with this rain we should see at least a marginal bump in the water levels, if not more drastic condition changes. We are now swinging right through peak season and don’t be surprised if the big push comes through with this wet weather this week and next week. Chinooks are starting to taper off although still lots remain in the system including some clean ones. Lots of fresh coho and chum Salmon continue to come into the system. 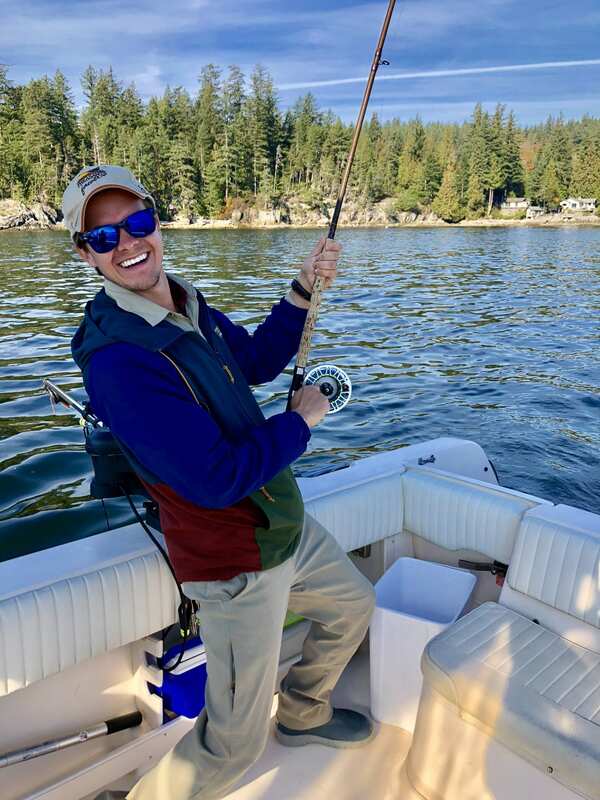 Oddly enough, while we typically push the first light bite quite hard on this system, there were a couple of occasions this past week where the bite didn’t turn on until late in the morning after most of the early-bird anglers had left. With the rain and cloud cover now the predominant weather pattern don’t be afraid to fish past first light. Sometimes some of the best fishing can occur after everyone has left and the fish have been untouched for a while. The same techniques that were working during the low and clear conditions will still work, but think of bulking them up a little once the water gets some colour to it. For example if you fish single eggs then fish a cluster, or if you fish size 2 colorado blades consider moving up to a 3. Fly anglers will possibly want to pull out their heavier sinking tips to keep the flies down in the faster current. For the next week keep your eye on the forecast and plan accordingly. If you want a good shot at some coho this year, this is the river to hit right now. Get out there and hook up before the run is over! 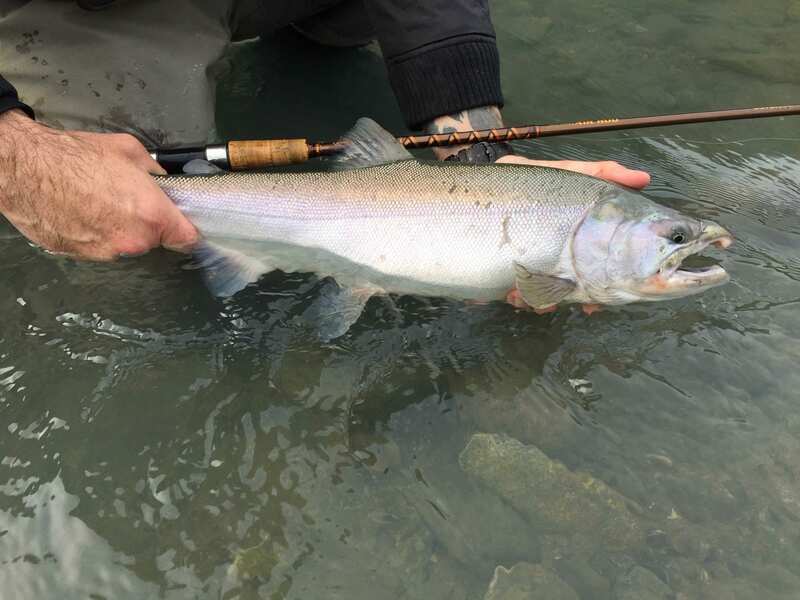 The Squamish River has been nothing short of fantastic so far this year. We have seen a lot of coho this year and they have been quite large as well. Currently there are fish pretty much everywhere so get out there and explore. Earlier this week we saw the dam on the Cheakamus opened up and that made fishing quite difficult. Since then it has dropped down and has started to clear up. Chum have started to enter this system as well, so bust out your purple and pink popsicles and jigs and have some fun with these beasts. 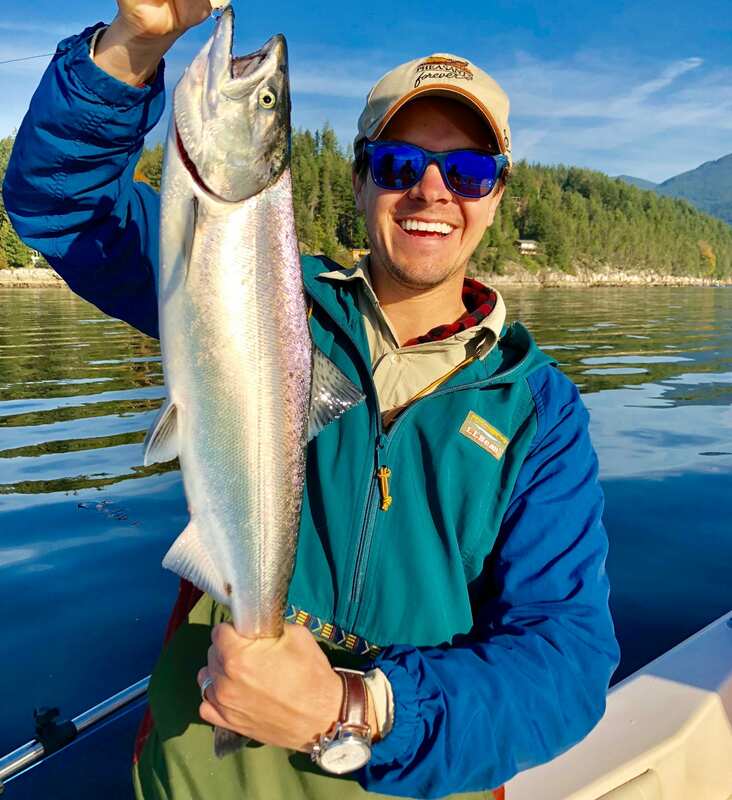 Alex’s guest with a nice coho from their guided trip this week. 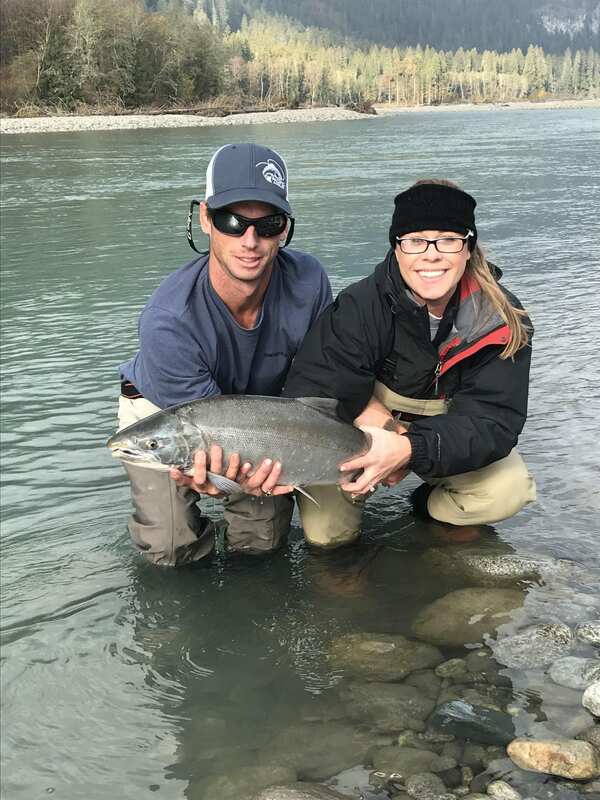 Christin getting a quick pic with her catch + guide Alex. The high water from the dam opening should have pushed some eggs around too, so don’t forget your trout beads as this will really turn on the bull trout and rainbow fishing. The upper portion of the river is fishing great as well, with coho spread throughout. We had some issues getting my fly into the report from last week (we have it in this weeks report – check it out below along with Jordan’s) and it is one that you will want to have in your box or at least something similar. Darker coloured flies in the 2-3″ size range have been producing quite well for fly anglers because they contrast with the milky colour of the water that we are still seeing. Black, Purple and Blue jigs have been producing for those guys that have the itch to twitch. Spoons have also been very productive for a lot of anglers as well. Size 3 and 4 K Wobblers have been a go to for us this year so far. Thanks for the photo Iwan! We haven’t seen much in the way of really cold evenings so far this fall, so the upper portion still hasn’t cleared up like we are used to seeing at this time of year. With the lack of rain, the eggs that have been laid aren’t being disturbed, so trout fishing hasn’t been crazy as of yet. That being said, if the weather man gets his predictions right, we could finally see some rain this weekend and that could shake things up quite a bit. Keep an eye on the river levels as if the river decides to blow out it can create some dangerous conditions for anglers. That being said if we get some cooler temps after the rains we should see some epic fishing for salmon and trout. The rains, if they come, should help to push in more fish so we should start to see even more epic coho fishing and some better chum fishing as well as some hot trout fishing. Last but not least, be sure to be bear aware. As with every year we’ve seen lots of bears so far this season so have your bear spray handy. Good luck this weekend and we will see you in the shop or out on the water. The Stave has been on and off for the last week and we haven’t quite seen the numbers of chum that the Stave is famous for yet. While there is definitely a good amount of fish in the system and it is possible to have an epic dog day, the fishing remains a little spotty and changes from day to day. From what I’ve seen and heard this week it is still important to move and find the school of fish or at least time it with the tide in the hopes of intercepting some fresh fish coming in. Jigs and colorado blades under a float or big colourful streamers are you go to’s, though anything that gets them feeling territorial can trigger a strike so don’t be afraid to try something outside of the box. 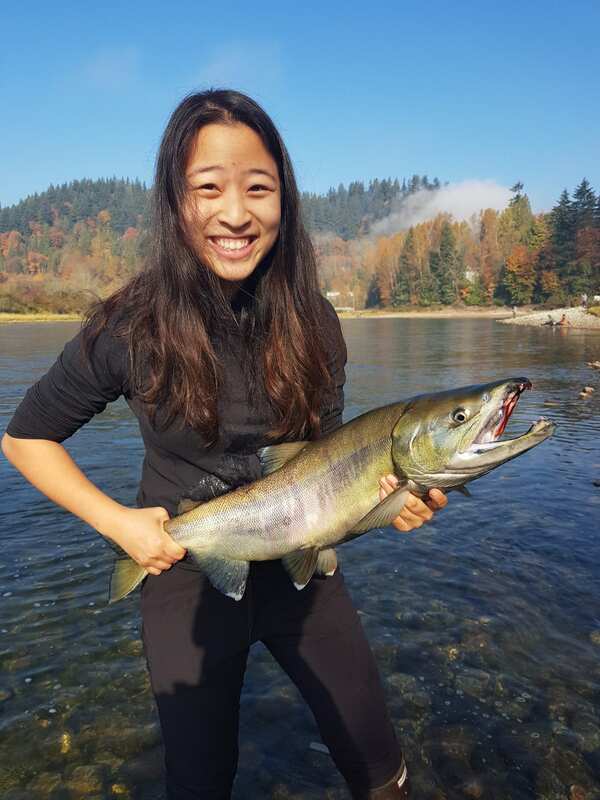 Vanessa with her first salmon! Great work Vanessa! The coho fishing has started to pick up somewhat but still hasn’t hit its stride yet. Roe, small spinners/spoons, and flash flies have been the ticket in slack water for a few lucky anglers. Other systems are currently fishing better for coho so I would leave the Stave as a backup option if you are looking to specifically target this species. 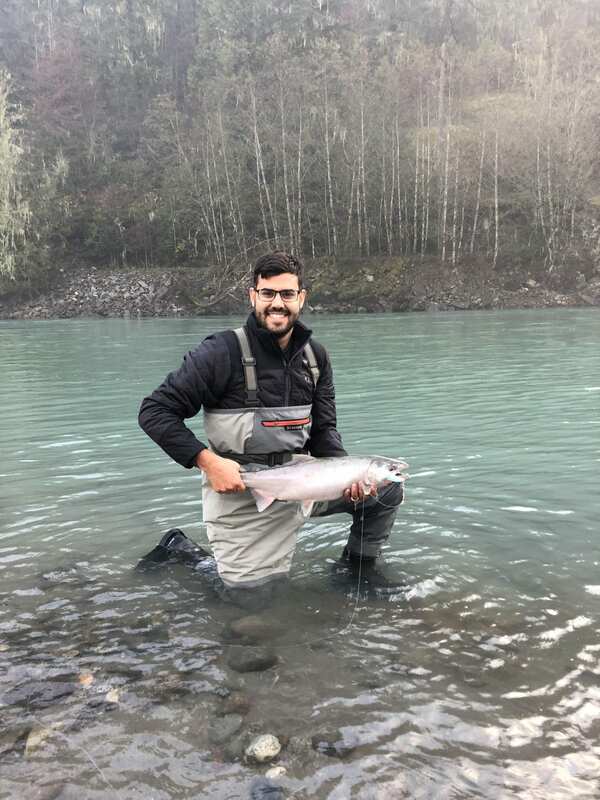 The Harrison River has seen some fish move through, with most anglers targeting chum and coho. Anglers with a boat have a few more options for exploring, but anglers on foot have been able to find a few fish as well. Gear fishing with jigs and floats is the most common way to target chums, with anglers throwing spinners and spoons for coho. Anglers who prefer fly fishing are best suited with a full floating line and/or a clear tip intermediate. Small sparse flies are usually the key. We have a great selection of float fishing jigs, spoons, and custom-tied flies in shop, so come on in and hang out- any one of us can get you started in the right direction! It’s no secret that float fishing jigs is a very productive way to target all species of pacific salmon. Float jigs are actually really simple to tie and usually only use a few beginner friendly materials. With the amount of colours that materials come in the possibilities are endless as to the variations that you can make jigs in. Jordan is going to walk us through a simple and easy jig pattern that is great for targeting salmon this fall.